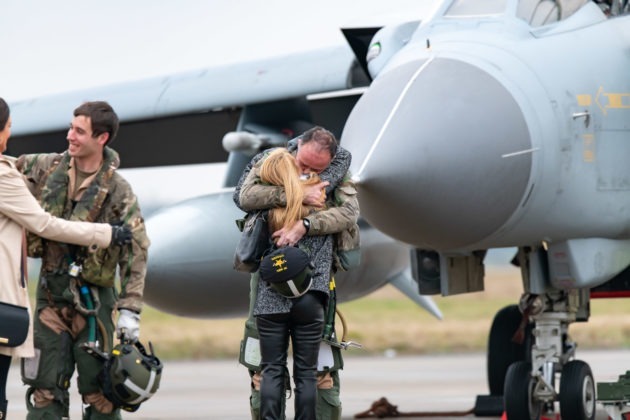 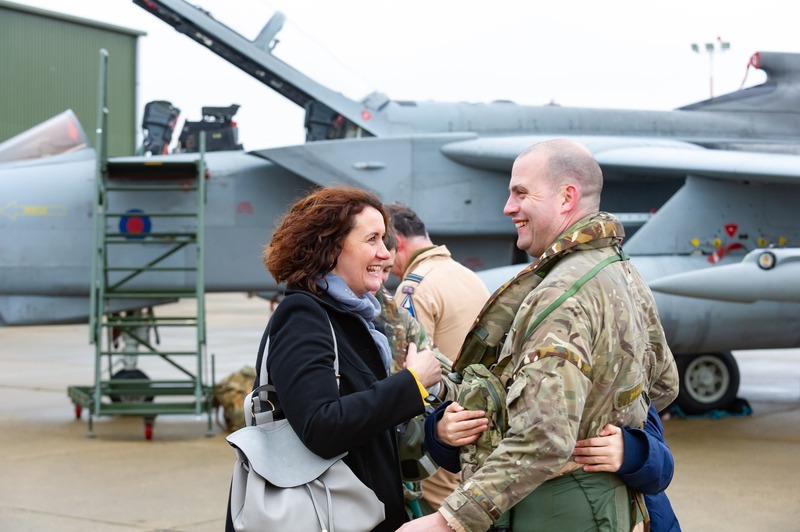 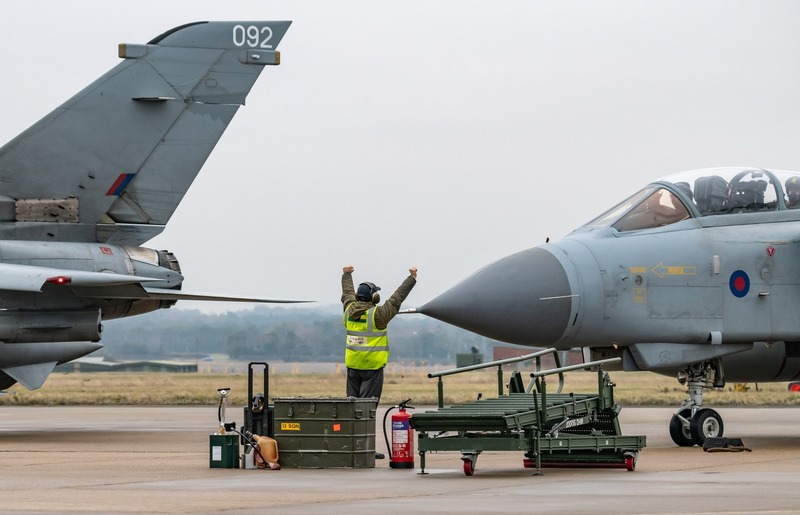 It was an emotional homecoming for three Tornado crews as they touched down into RAF Marham for the final time as the aircraft celebrated almost 40 years of service, writes Natalie Copeland. Not only were crews reunited with their loved ones but the occasion also marked the end of an era for the Tornado GR4. 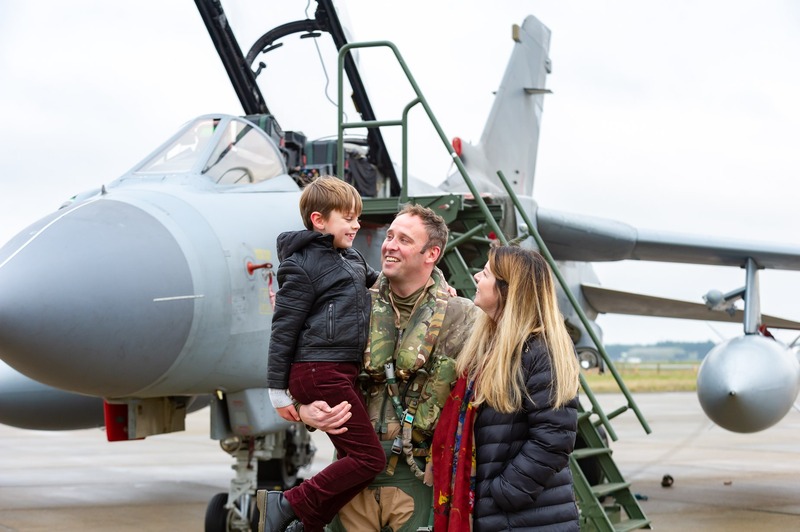 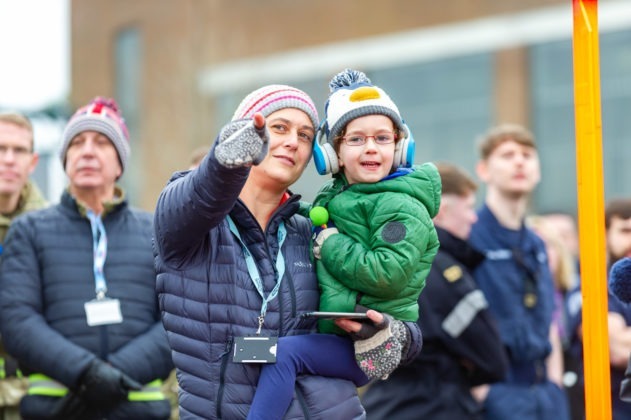 As the loud roar of the jets powered down for the last time, servicemen emerged from the aircraft to be given a special welcome by proud families, friends and personnel who had gathered on the tarmac to watch the spectacle. 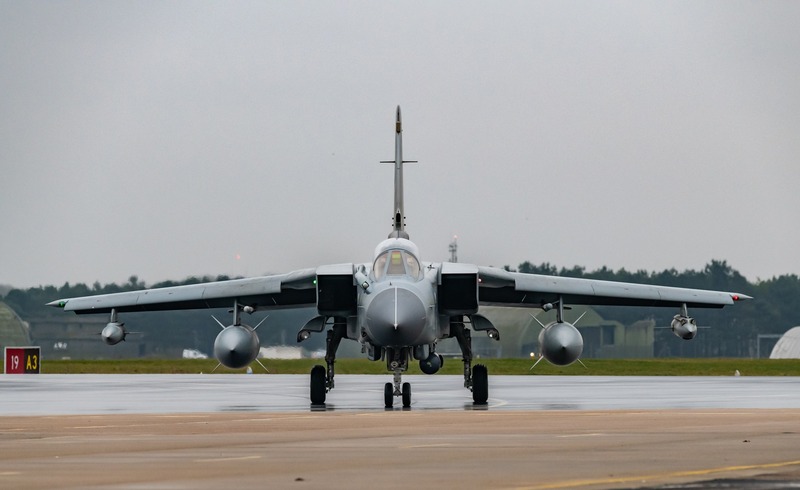 The three Tornados which landed on Tuesday were the last to be flown back to the UK base ahead of the combat aircraft’s retirement next month. “There is a sense of relief that we got the boys back home safely,” said Wing Commander Matt Bressani of OC 31 Squadron, after returning from a four-month stint in RAF Akrotiri, Cyprus. 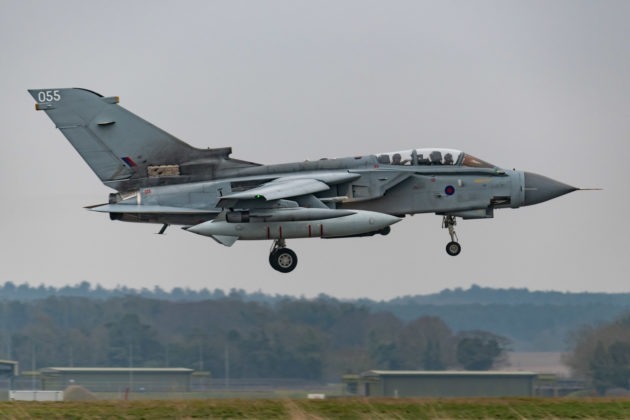 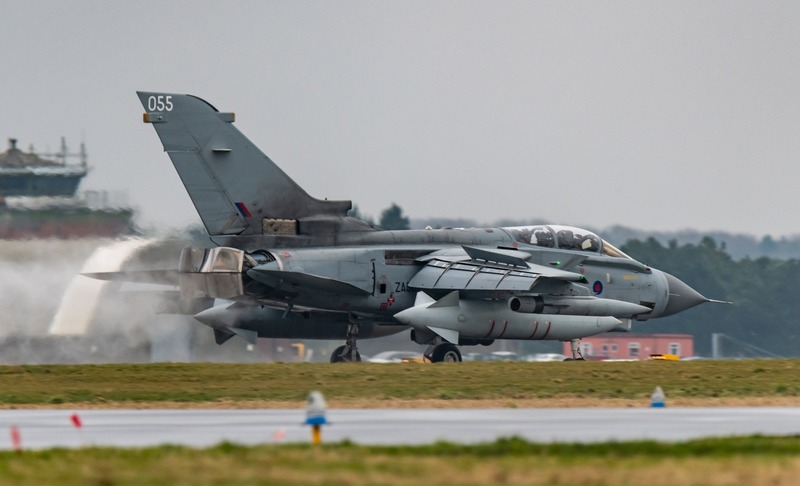 The Tornado has been serving the UK on military operations around the world since 1979 and was first used in combat during the first Gulf War and also in the fight against Islamic State. 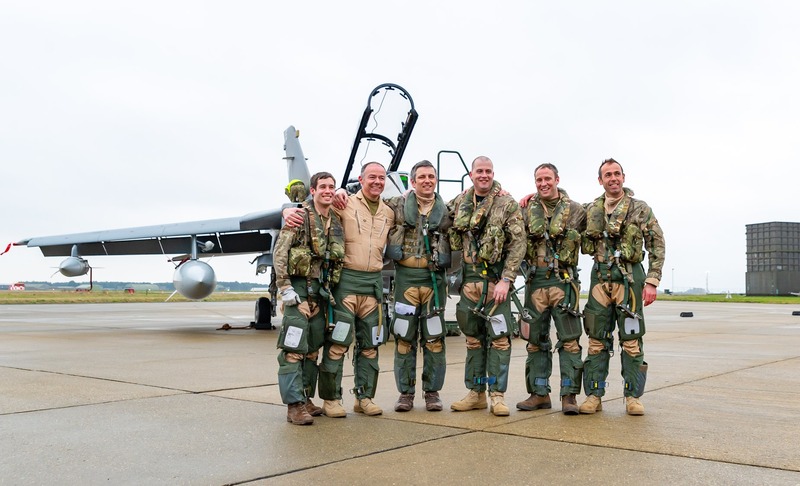 The first five jets made the five-hour return flight from Cyprus on Monday and the final three on Tuesday. 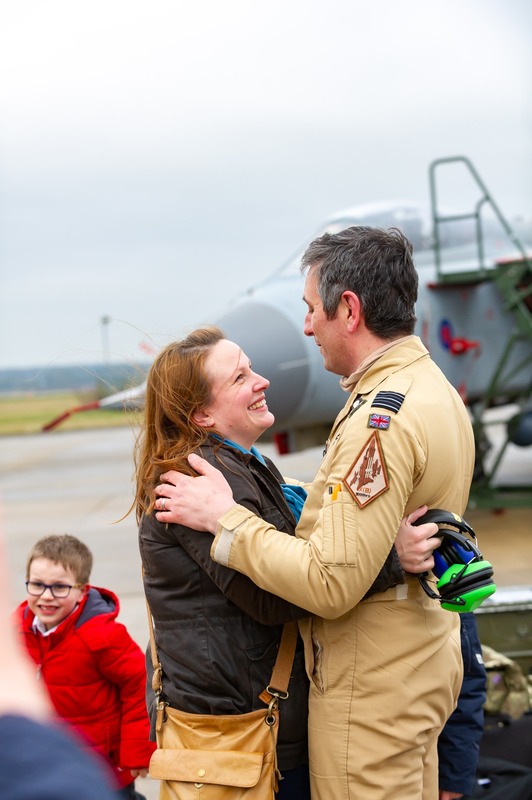 “It’s a real mixture of emotions,” said Wing Commander James Heeps, who was with his wife Samantha and their three sons, William, 9, Henry, 6 and George, 3. 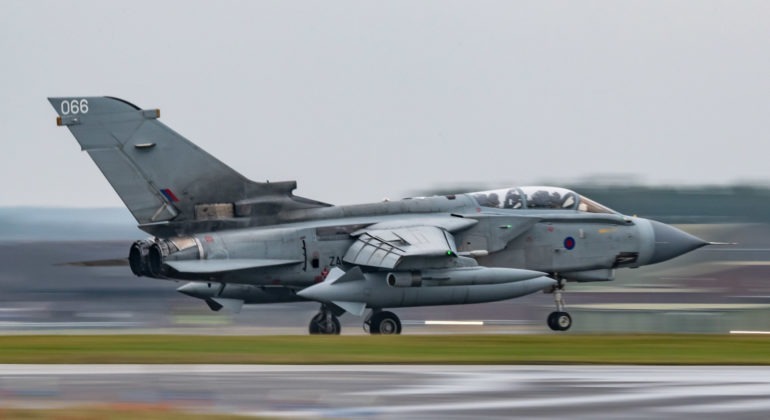 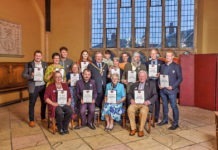 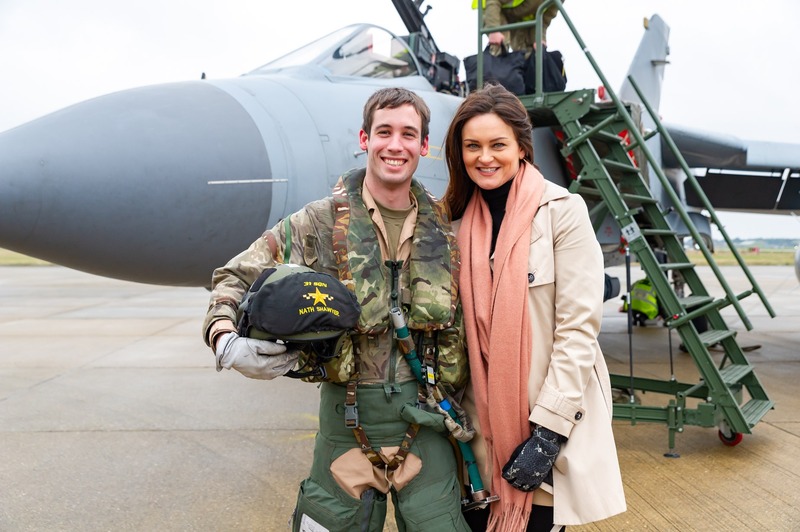 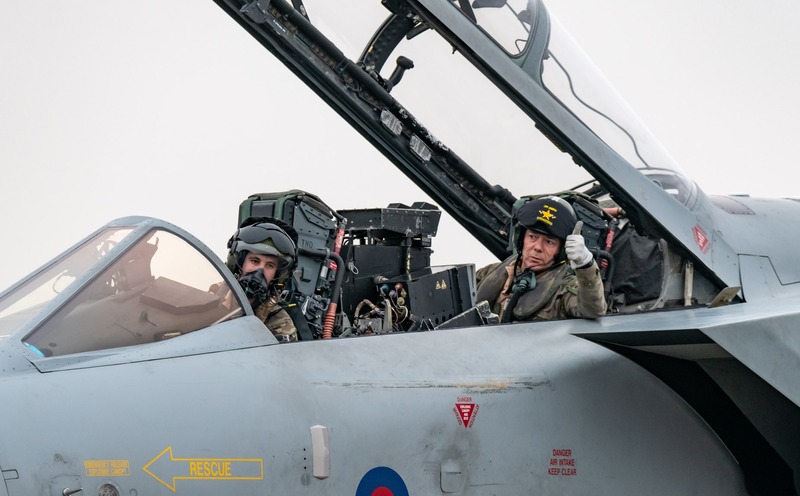 Air crew from the last three Tornados included Flight Lieutenant Chris Stradling who has accrued more than 6,000 hours of flying time in the aircraft and Flight Lieutenant Nathan Shawyer, 27, who was the last ever pilot to be trained for Tornado operations. 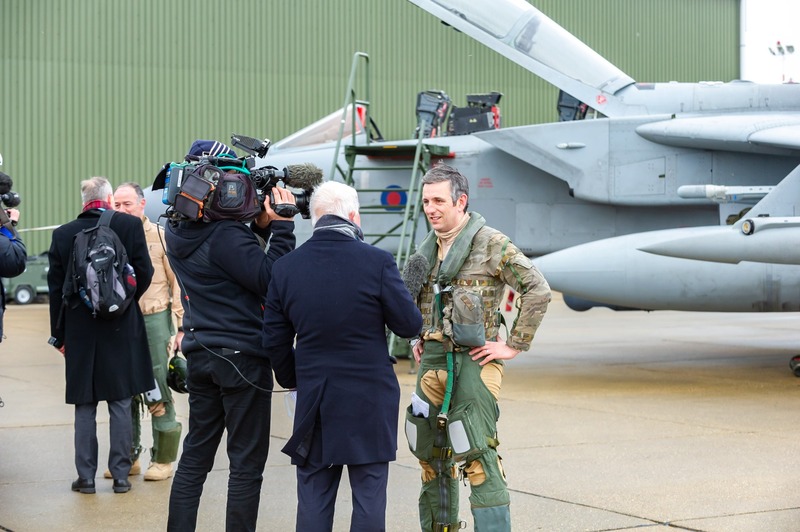 Mr Shawyer, who has flown in Syria and Iraq said he was sad to see the Tornado retire. 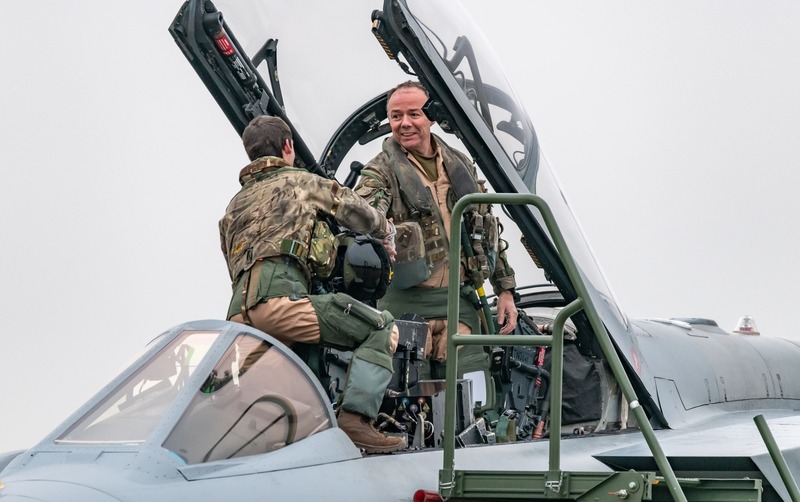 Mr Shawyer will now fly the Typhoon which will form the backbone of the UK’s combat air fleet alongside the new fleet of F-35 Lighting jets. Group Captain Ian Townsend who has been responsible for the Tornados at RAF Marham for the past 19 months, said he was very proud of the squadrons. “There is something about the Tornado. And the crew are a tight family with all their camaraderie,” he said. 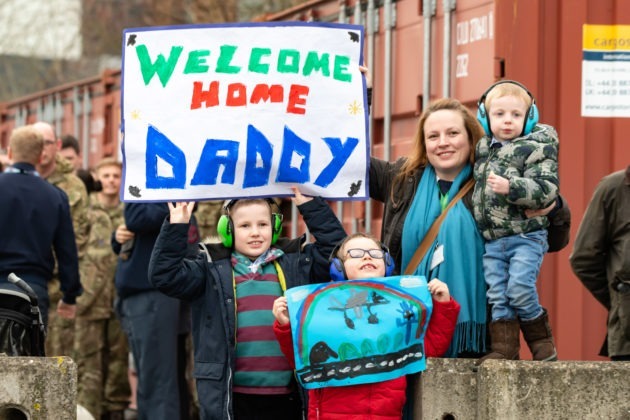 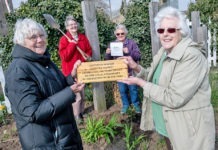 “It’s nice to see people come together and for families to see their loved ones come back.